In the spirit of spring cleaning, I have decided to become a minimalist. If I am to be a world traveler and follow summer around the world, I can’t be weighed down by a lifetime of possessions. I was also inspired by a section of Grace Coddington’s memoir where she was dating a Mr. Chow, who was so minimalist that he barely owned a full set of flatware. I don’t think I could ever be that extreme, but the fewer things I have, the calmer I feel. I’ve barely started, but I feel great about my accomplishments so far. Over the weekend, I purged my wardrobe and got rid of maybe a little over a quarter of my clothing. They were things that I never wore anymore and was hanging onto for no good reason. I was very brave and I even donated my vintage Dior suit to charity. It hurt me, yes, and I have had many good times in that suit, but it was taking up space and no amount of tailoring could save it. I kept the vest, though, that still looks smart. I threw half the things out of my drawers, too. I never open them, why should I keep any of that crap? I still have a few thing that I couldn’t bear to toss out, but it’s a start. Today I am going through my CDs. I don’t think I’ll get rid of that many, but there is no point in them anymore, I have everything on the computer. I’m sentimental, though. I needn’t be. This is going to be a learning process, I suppose. It does feel great to be rid of things, though, it’s like losing weight. I have been meaning to watch State Fair for years. It’s about the Iowa State Fair, which I’ve been to for almost every year of my life. The fair in the film is nothing like the fair we go to anymore. In the movie, they dressed nice and the roller coasters weren’t operated by drug lords and there weren’t gang fights and everybody wasn’t drunk on tap beer, they drank domestic champagne and everything was just much more pleasant. I have no major issues with the process of modernization, but when our civilization becomes so unpleasant, I take issue. Anyway, that has nothing to do with this entry. At the very beginning, the main character sighs and sings this song. Did I write this song in a past life? How do they know me so well? So, I’ve replayed it a million times while whimsically sighing and staring out my window. My life could easily be a mash up musical of all the broadway songs I love. I’m not sure how we are going to add in “Buenos Aires,” though. I may need to go to Argentina just to have an excuse for my future biographical off broadway show. Speaking of biographical shows, did you know Dawn French is putting together a show where she has a Jennifer Saunders puppet? I know! 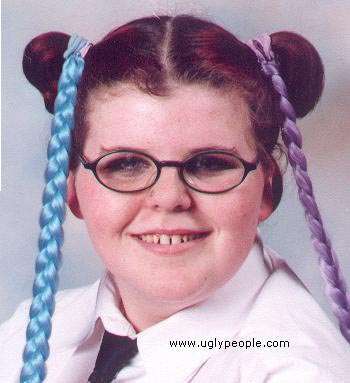 I die! You all know that I’m not physically able to work, right? I think it goes against my personal biology. It’s poor for my health to make me wake up before ten or eleven. I need my rest. I’m a night person. I don’t want to miss out on the darkness or the warm sunshine of the afternoon. I’m only twenty-three and I’m already eagerly anticipating retirement and or my marriage to somebody very rich with a very bad heart. (Just kidding, if you’re reading this my future very rich marriage partner! Buy me some new shoes?) I don’t dislike my job, most days, I just dislike working. It’s against my nature. I’m a creative person. It’s hard to be creative when you get home and need to take care of every day business and then take a nap so that you have enough energy to make it until bedtime a few hours later. Le sigh…so, I love quitting time. I love going back home to where I can amuse myself and do the things I like to do. I have been having a difficult time adjusting to the sale of my grandmother’s house. I grew up there and it’s hard for me to imagine a complete stranger living there, sitting in the dining room, cooking in the kitchen, and walking around that yard enjoying the irises and lily of the valley that I love so very much. It just feels wrong to me, but there’s nothing I can do about it. I can’t afford to buy the house and we can’t afford to keep it and if I were going to spend upwards of fifty thousand dollars, that is not the property it would be on. So, I suppose I should just get over it. Anyway, the other day, Jose and I went over to clean out one of the rooms that haven’t really been touched since she left. As we crossed the road, a car pulled in and I kind of felt like somebody stabbed me. It was a realtor who had arrived to show the house to a client and I couldn’t stand for them to walk around the property and ask unimportant questions about septic tanks. Aren’t the flowers more important? They finally left. I hated them. So, as Jose and I tossed mountain after mountain of old Avon junk into the dumpster, we couldn’t help but apply some of the makeup to ourselves. You all know what one of my favorite shows is, right? RuPauls’s Drag Race! It’s the greatest thing on television at the moment and I can’t get enough of it. The culture of drag is one of my favorites and I adore the performers in that world. So, I grabbed a bunch of samples, as did my brother, and in my grandmother’s old mirror, we painted our faces. I drew on a Joan Crawford like face with exaggerated lips and eyebrows and I blended my cheekbones to high heaven. I was rather delighted by it all. It was fun to turn into somebody else. 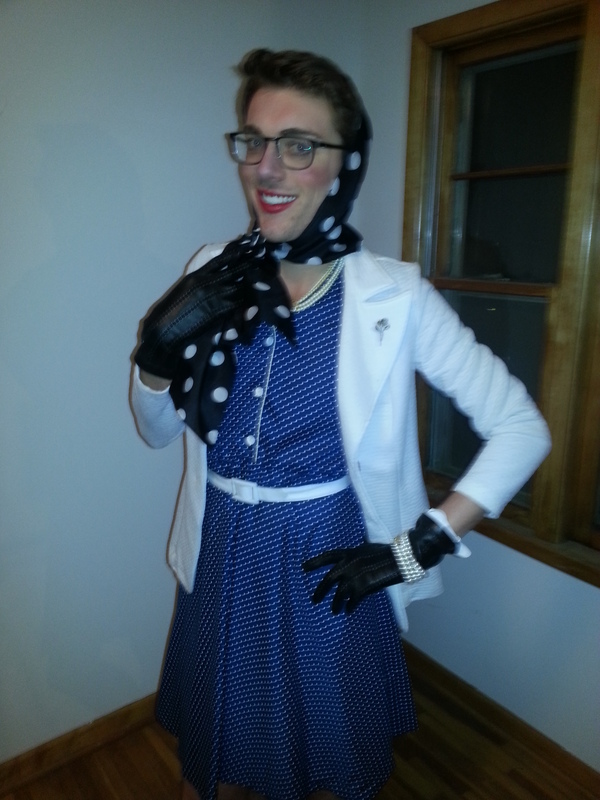 After putting our faces on, we rummaged through the clothes, and I’m not going to lie, I look great in a blue polka dotted dress I found from the fifties as seen above. Odd though this may seem to you, it’s kind of a fitting tribute to that house which I soon won’t be able to enjoy. I don’t have many memories of my childhood, but one thing I remember very clearly is all of the makeup samples she would always have and let me play with. I wasn’t applying it correctly back then, it was more just like my face was a canvas and I had a lot of paint and no idea what I was doing. I’m sure there are pictures in a box somewhere. I had a lot of fun. I also had several looks, a sleazy movie premiere ensemble, while Jose modeled the futuristic whore outfit. Then a slutty Sophia Loren look with Jose demonstrating androgyny based on Qui Êtes-Vous Polly Maggoo? I love lemons so much that I might put Giada to shame. She thinks she can take a deep breath of lemon zest and say, “AHHHHHH,” with more conviction than me. She’s wrong. 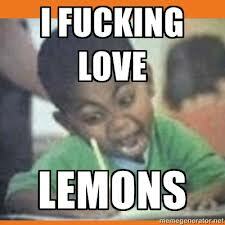 There ain’t nobody that love lemons more than me. I could eat lemon desserts all day long and drink lemonade all day long and if I had enough miracle fruit, I would eat lemon slices like a grapefruit day long. Last night I made gâteau le weekend for the coffee shop and I about orgasmed when I had a piece. It was so freaking amazing. I haven’t had a piece in years and I have no idea why. I would buy the occasional slice when I came across them in the boulangeries of Paris, but that was sadly infrequent. I have the feeling that I’m going to be making a lot of these and then freezing them and then eating them with a glass of lady earl grey tea. I can’t freaking wait! I used the recipe from Le Cordon Bleu and just could not have been happier with the results. I wish I had some more to eat when I get home, but I sold it all. Maybe I’ll stop at the grocery store and get a few more lemons and make another batch while we are throwing more into the dumpster. It might cheer me up a bit. I have finally finished what I believe is my fourth draft of my first novel, Terrible Miss Margo, and I am quite stressed over it. I know what I have to do now, but this process is so new to me that I feel awfully inadequate. It’s basically impossible to publish without having a literary agent, so I need to get one of them. Do you know how many there are? I have spent hours scouring the Internet for names and businesses and felt like drinking a bottle of whiskey and not waking up for a couple weeks. I finally looked through my personal library and picked out my favorite books and found that my favorite author, Elizabeth Kostova, is represented by Amy Williams. So, I’m writing to her first. I may as well start trying at the top, you know? Even if she rejects me, which seems likely (this is a stupid business) it still shows that I was trying. Now that I’ve chosen somebody to write to, I have to write the actual query. Good God! It’s the worst thing I’ve ever done. It’s more tedious than writing a novel. You have to properly address who you’re writing to without simpering, you have to hook their attention, you have to give a synopsis of your plot in the voice of your novel in one paragraph (which seems impossible to me) then you have to give a sale’s pitch. I’m exhausted. Besides all that, it has to fit on a single piece of paper with standard industry formatting. To add to all that annoyance, there is a lot of disparate information available. Some say to write as a business letter while others way to align all your paragraphs to the left margin. Every single word and period and comma and dash is vitally important because you have to convince the agent that your manuscript is not a waste of time, is good, and that you have an idea of what you’re doing. But I haven’t a clue! I’ll be working on this a few weeks. I don’t want to self publish, but I will if it becomes necessary. Nobody in my family believes in wrapping up the vacuum after they use it. This drives me very nearly to the brink of insanity. Haven’t they ever seen the little clip that is right next to the plug that holds the cords together? Haven’t they ever suffered the painful three minutes it takes to untangle the knotted cords? Do they actually vacuum? Not really, it’s just me. Vacuuming isn’t any fun, admittedly, and carpet is gross, which is why I’ve removed about fifty percent of the carpet here. As I slowly redecorate the remaining rooms, be prepared to say farewell to the remaining nasty carpet. I hate carpet with a passion. So, yesterday when I was in a fanatical mood to get rid of all the box elder bugs swarming around my kitchen windows, I was very upset when I had to waste time getting the cord untangled. People were cursed out in my mind. Then, I took the fifteen seconds it takes to wrap the cord when I was done. It’s easy. It makes the world a better place. 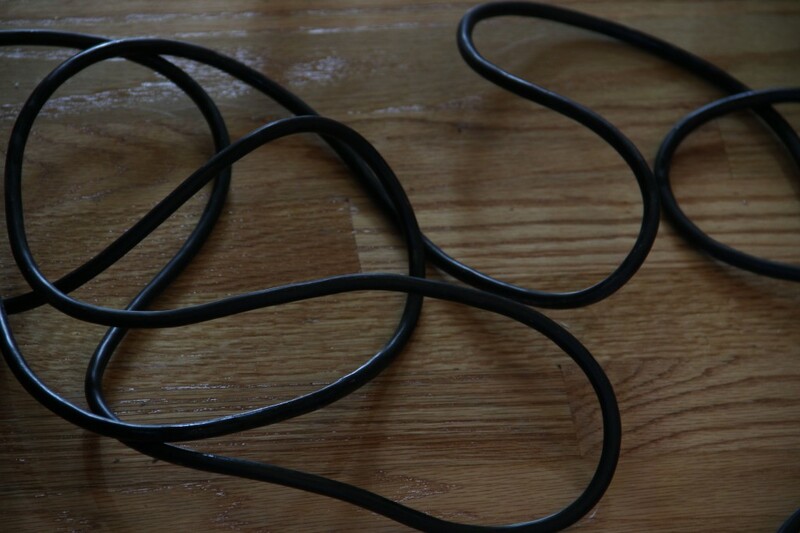 Unwrapped vacuum cords are the end of civilization. We are finally getting more and more super cheap airlines here in America like they’ve had for an eternity over in Europe. Europe is just better with their bullet trains and bakeries and delightful languages and all the seas. I love a good sea. Sadly, though, for me, there aren’t a great number of flights to interesting places from the biggest airport for hundreds and hundreds of miles around here. 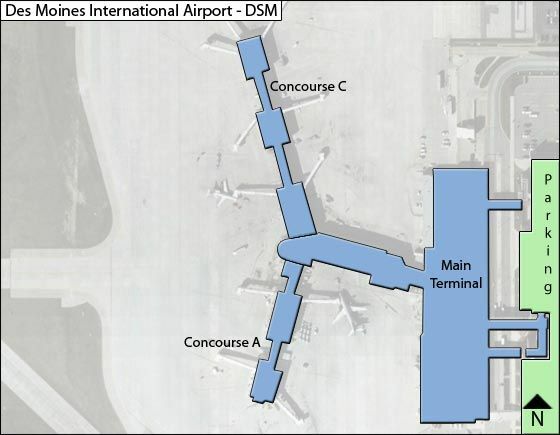 Des Moines has a nice airport, but there is just not much variety. We do have Allegiant, and you can find some good deals on there, and I do have a $160 credit. I may have to go to Vegas for the weekend soon. That sounds like a really good idea, actually. I just wish that Des Moines would have more carriers like Spirit or something where I could just go jetting off to someplace fun, like Buenos Aires without having to transfer four times and sell a pint of my blood on the black market into pay for it. Because I’m truly a mean girl at heart, I enjoy judging people based on their personal appearance, and therefore, it always throws me for a loop when I discover that sometimes, ugly people have interesting lives and decent personalities. I won’t say who or where, but yesterday, I avoided a gentleman for the longest time because he was balding and had his remaining wisps of hair braided and pulled back into a ponytail. He didn’t dress nice, hadn’t updated his glasses since the eighties, and had hair coming out of his nose. I just assumed he would be dull and creepy. But, since I’m also the nicest guy in the world, I asked him about his day which started a discussion and I learned that he is a practicing archaeologist. I haven’t a clue how he got to where I met him, but I had a great time discussing this with him. You know how archaeology, especially Egyptology, has long been one of my passions. As a youth there were very few things I could picture myself being. I’ll list them: Egyptologist, French teacher, big cat handler, beloved author, and model. Alas, I’m none of those. But I kind of learned a lesson, you shouldn’t judge people because you might miss out on a very interesting conversation about pre-Columbian arrowheads and where you can find the remains of the second Fort Des Moines. But still, even if these people are interesting, don’t go out in public with them! Don’t take this too far! Look, I don’t know what I’m going to do in a month or so when I finish the last book in my favorite series. I’ll probably weep and stay in bed for days not able to do anything but take little sips of tea and sleep. I will be crushed emotionally and spiritually and when I finally find the strength to carry on with my life, I will have to write an impassioned letter to the author begging her to write another, though I know what a huge amount of research and energy goes into writing and she’s rather advanced in years. These books have been the highlight of my day this year. I read a chapter every day and find myself back to where I should have been–in a clever family of archaeologists in Victorian Egypt and England. I’m not meant for these times. I miss the days I was never able to see. I finished one installment yesterday and had to contain myself when Amelia was shot and nearly died. What am I going to do if she does in a future book? About five years ago, Sylvia Browne told me that I needed to move to Hollywood and peruse a career in film production. Maybe my life’s purpose is to guide these magnificent novels onto the screen? My dream is actually to create a very well done miniseries with them. I think it would be incredibly popular. The books are filled with mystery, romance, quick wit, and engaging characters. What’s not to love? This needs to happen. Don’t steal from me, Hollywood! Involve me in future projects. 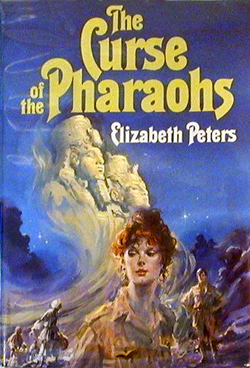 I think I’ll die if I don’t have some kind of Amelia to sustain my cravings for ancient Egypt.